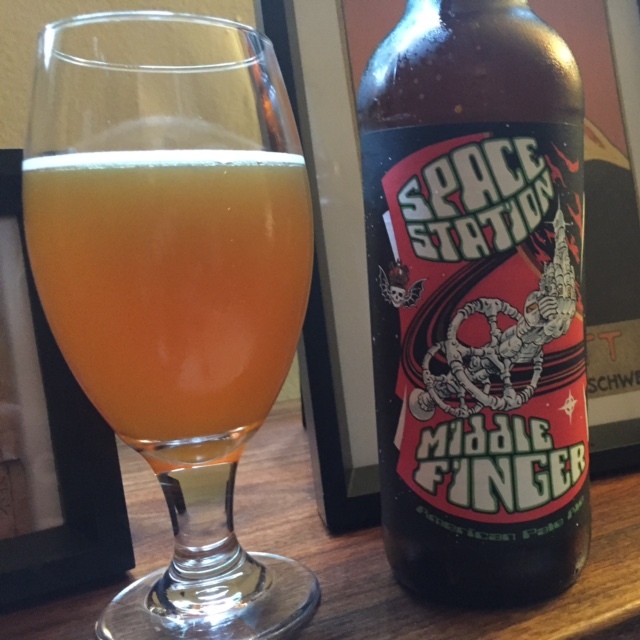 Hard to find in New York City (ok, maybe a bit impossible), I was lucky to get my hands on Three Floyds Space Station Middle Finger, one of the best pale ales I’ve ever had. It’s what every good pale ale should be. Hoppy (but not too hoppy). Bitter (but not too bitter). I smell citrus zest and tropical fruit, and taste citricy hops with a sweet malt backbone. At 6.00% ABV it’s not technically a session beer, but it’s very sessionable. The lightness and balance really shine through.